Looking for a quick and healthy weeknight meal? Look no further! 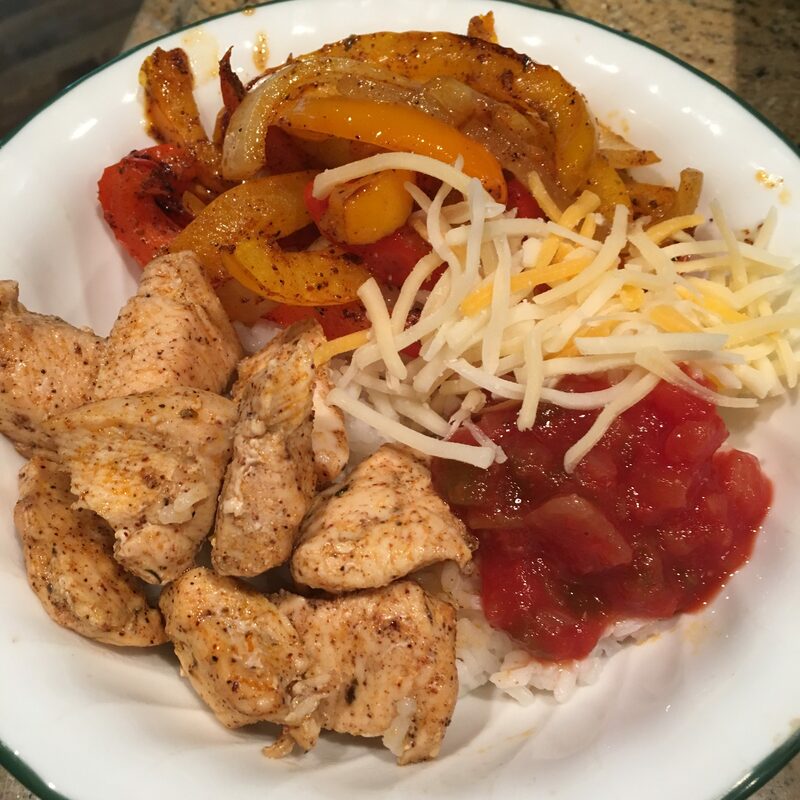 These healthy chicken fajita bowls are super simple to make and the whole family will love them! 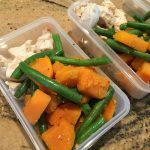 They also are the perfect meal prep recipe and can last in the fridge up to 5 days! There isn’t too much prep time involved either, which I always love! You can always purchase pre-cut peppers and onions to save time, but I chopped my own. 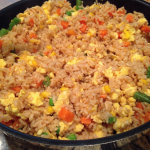 I put my rice on the stove first, so that I could prepare the rest while it cooked. Start off by chopping everything. I chopped the veggies first and then the chicken so I wouldn’t have to clean off the cutting board. I’m all about saving time! Once everything is chopped, just mix the olive oil and seasonings together in a bowl. Pour half over the chicken and the other half over the veggies. I used my hands to mix it all up. Again I started with the veggies, and then I mixed the chicken to save time and not have to wash my hands. Then just put the chicken on one half of a pan and the veggies on the other half. Bake for 20 minutes, stirring half way through, and you’re done! 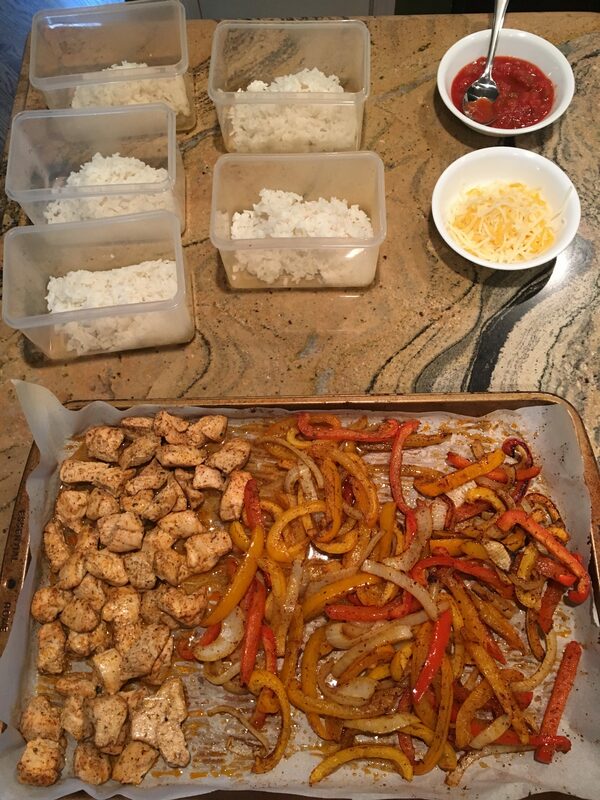 I portioned everything out into 5 Tupperware containers. Always make sure to use ones that are the same size, and that can be microwaved. I really like these containers here. 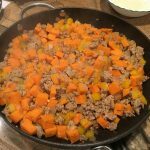 I used white rice for this recipe, however feel free to use brown rice, or even cauliflower rice for lower carbs! I topped mine with salsa and cheese, but again feel free to get creative and top with your favorite fajita toppings! 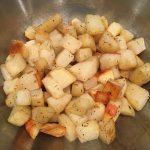 Combine olive oil and seasonings in a bowl and set aside for now. Cut the chicken into small bite-sized pieces. Pour half of the olive oil mixture onto the chicken and mixed until the chicken is well coated. Cut your peppers and onions into strips. Pour the remaining half of the olive oil mixture onto the peppers and onions and mix until they are well coated. 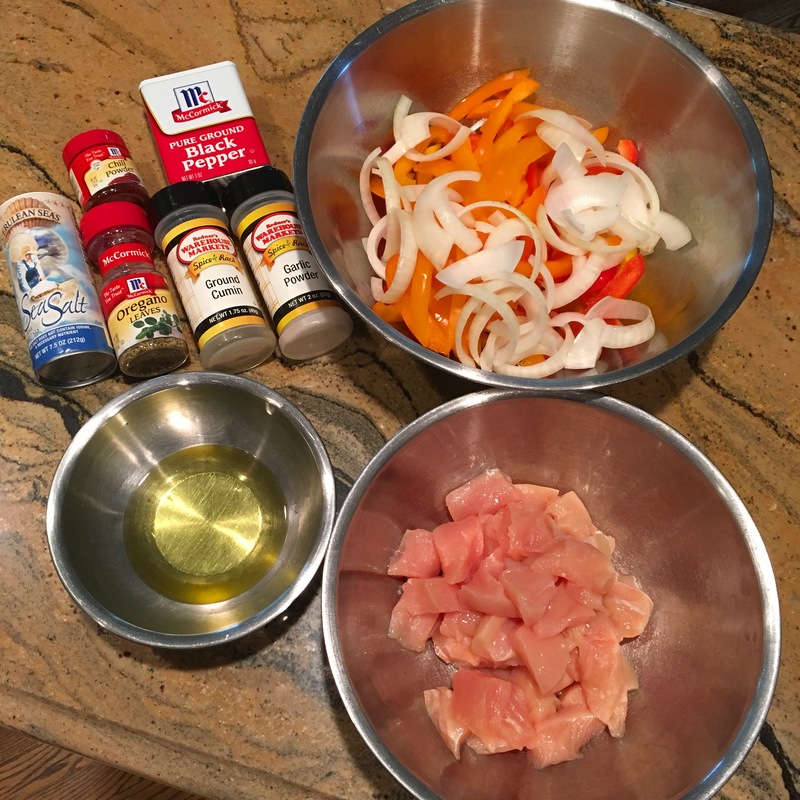 Line a pan with parchment paper and place the chicken on half, and the peppers and onions on the other half. Make sure everything is spread out so it all cooks evening. Bake in the oven for 20 minutes. Stir everything around half way through, breaking up any chicken pieces that are stuck together. Serve immediately and top with salsa and cheese. Or you may portion this out into 5 tupperware containers and it will last in the fridge up to 5 days.